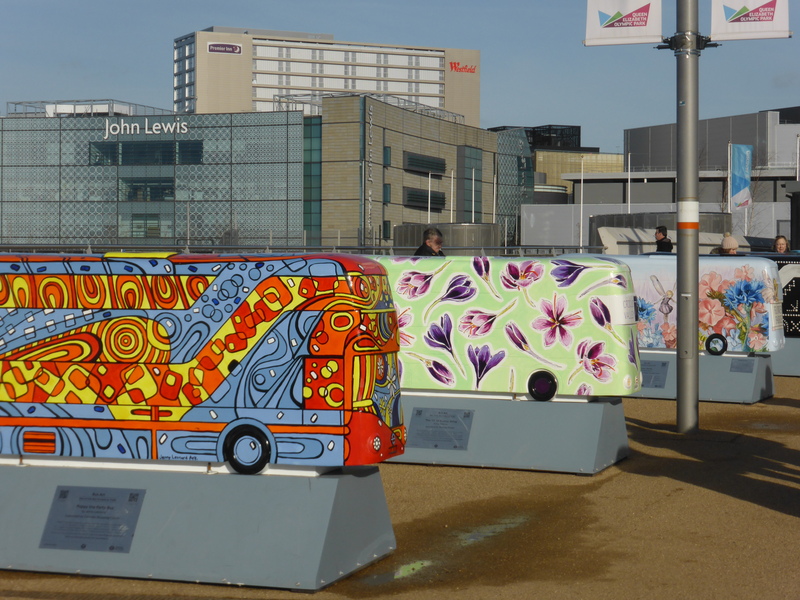 Over the last weekend the finale of the public art trails that comprised ‘The Year Of The Bus’ took place at the Queen Elizabeth Olympic Park, concluding the campaign to celebrate 100 years of the modern bus. 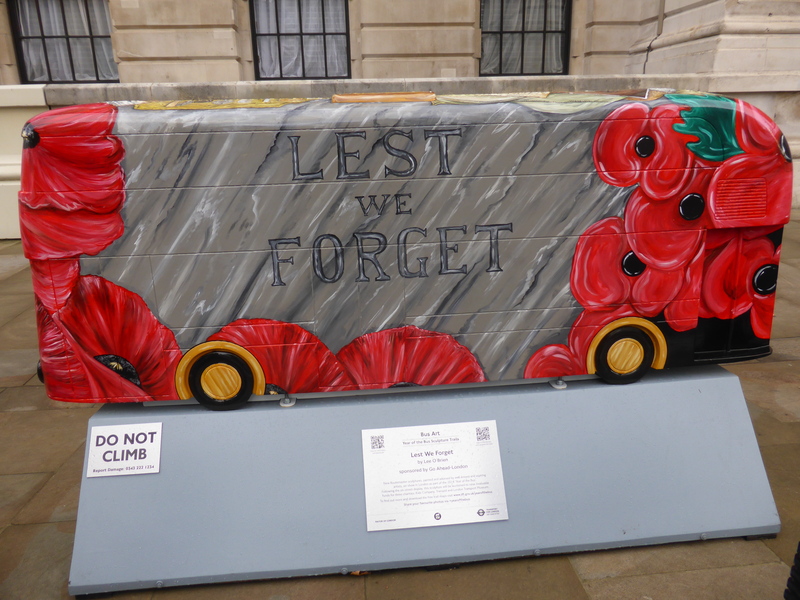 From the bus that ferried troops to and from the front line in Europe to the iconic Routemaster the London bus saw its place in the centennial events remembering the First World War. 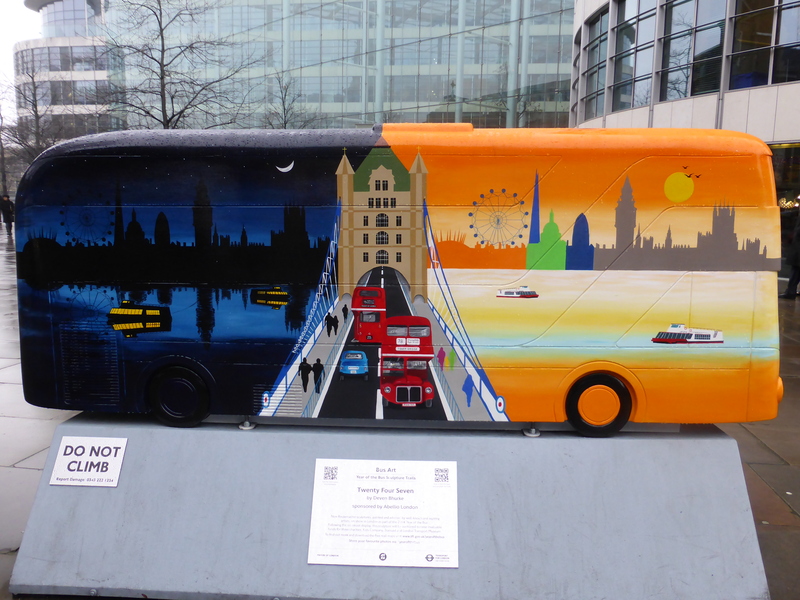 For this 4 walks around London were made up, in Westminster, around the Thames River, in Croydon and at the Olympic Park, with the idea being that you walked around these areas taking in the iconic landmarks along the way finding these quite exquisitely decorated buses. 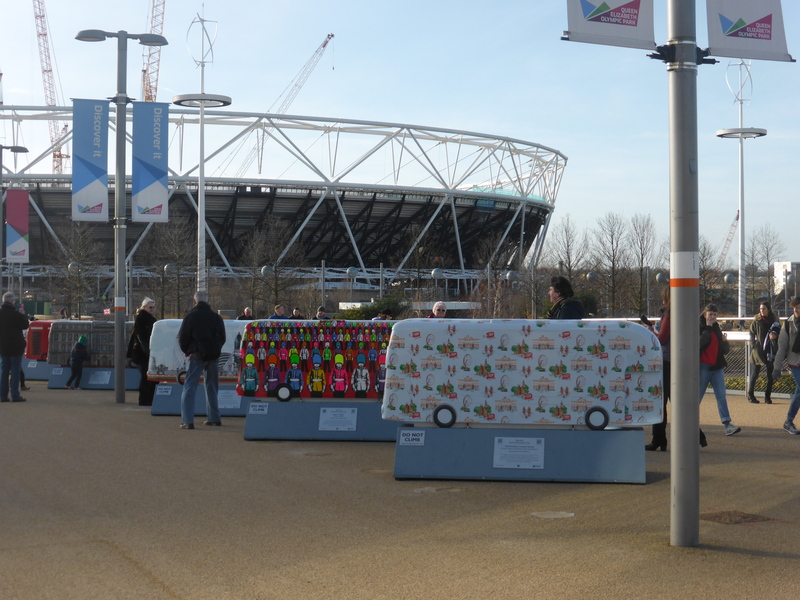 The campaign started in October 2014 and for its finale all the buses were brought together this weekend at the Olympic Park before being auctioned off for charity. London’s first regular bus service in which the public could ‘hail and ride’ a bus was started by George Shillibeer in 1829. His bus was drawn by 3 horses and could carry up to 20 passengers at a time. Rival companies emerged and in the 1860s Londons first double deck buses emerged. In 1910 the first mass-produced motor buses in the world arrived in London and by 1913 some 2,500 of these were in service replacing the horse buses. During the First World War, London buses were sent to France and Belgium, used to carry troops to and from the front line. After the First World War numerous companies competed with offering services, however in 1933 all of London’s bus companies merged under the London Passenger Transport Board (London Transport). During the Second World War London’s buses kept moving despite the extensive bomb damage London was subjected too as well as also turning to aircraft production at the London Transport’s Aldenham Works in order to help the war effort. From 1945 until 2005 it was the R-Type and Routemaster which dominated London’s streets. The RT-Type was the flagship of London Transport when introduced in 1939 until 1954 when the Routemaster was introduced. The Routemaster was designed with engineering techniques developed from London Transport’s role in aircraft production during the Second World War. 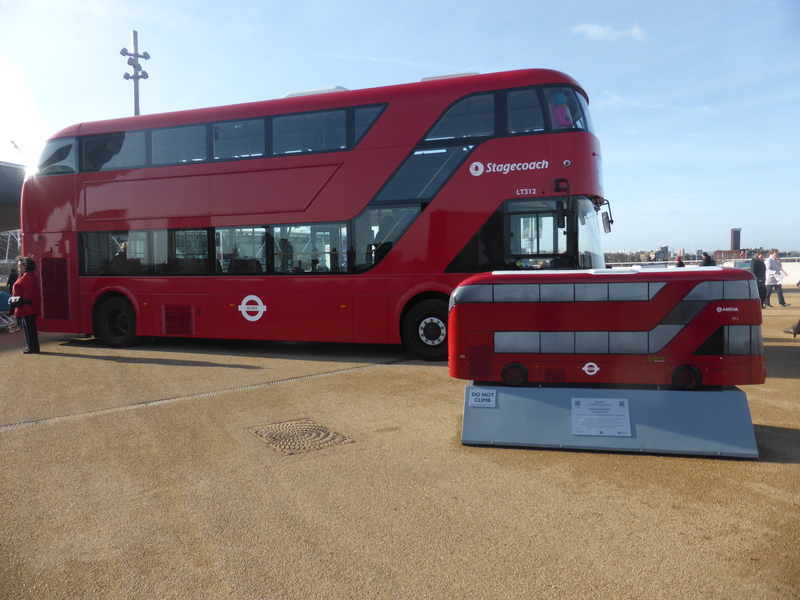 In 2005 the Routemaster was retired from service, making way for London’s current bus fleet. 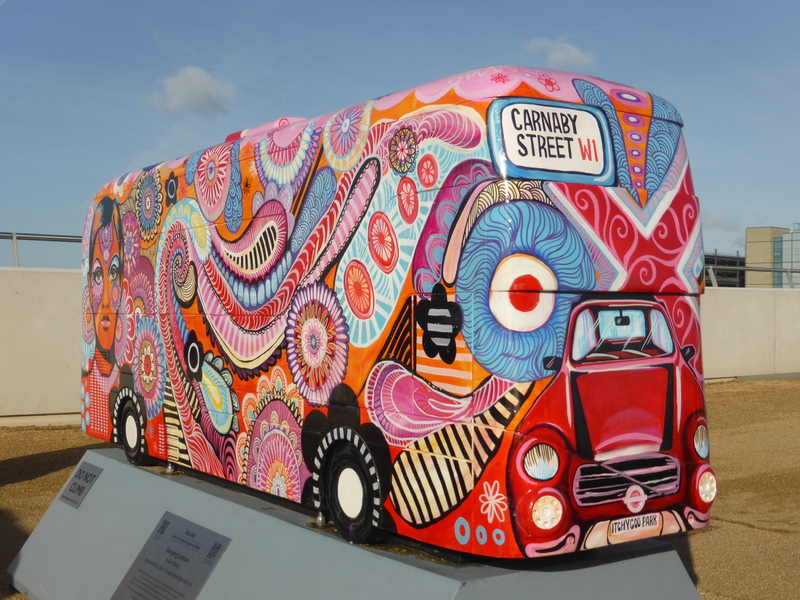 The double-decker red bus has become a global icon associated with London and it was a great project celebrating the history and significance the bus has played in London in the last century. Here are some of the buses from all 4 of the trails. Originally from the Westminster trail, but on display in the Olympic Park, ‘Swinging London’ by Sian Storey. The last bus of the collection, ‘Icon Bus’ by The Route Masters, being painted over the weekend. 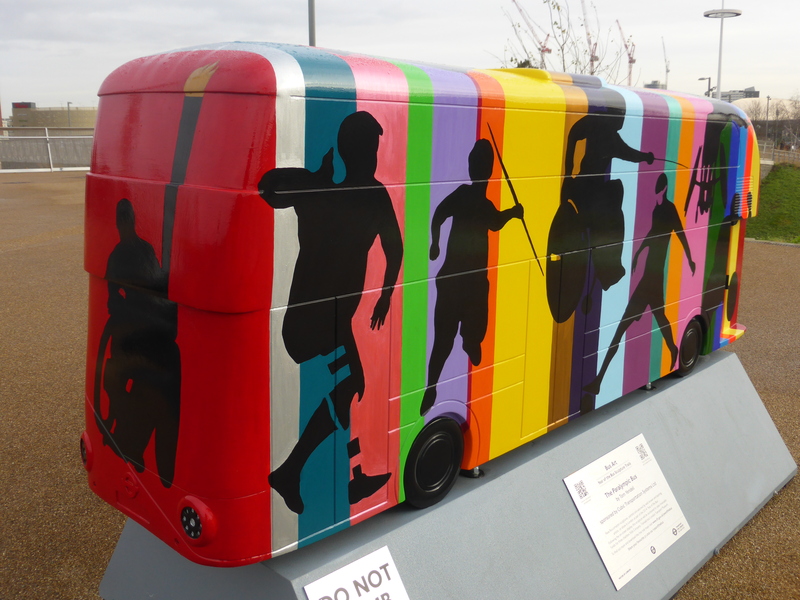 From the original Olympic Park trail ‘The Paralympic Bus’ by Tom Yendell. 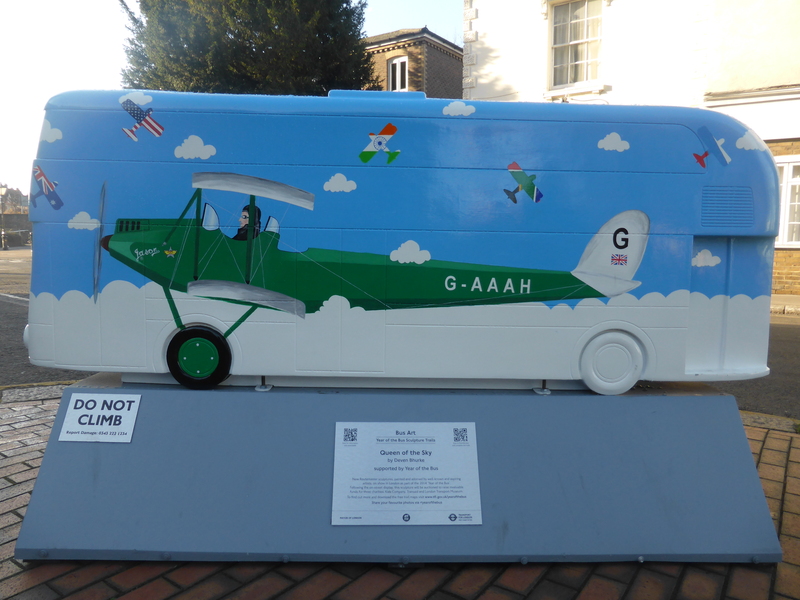 From the Croydon trail, paying homage to Croydon airport, which among other things was the first airport in the world to introduce traffic control. ‘Queen Of The Sky’ painted by Deven Bhurke. 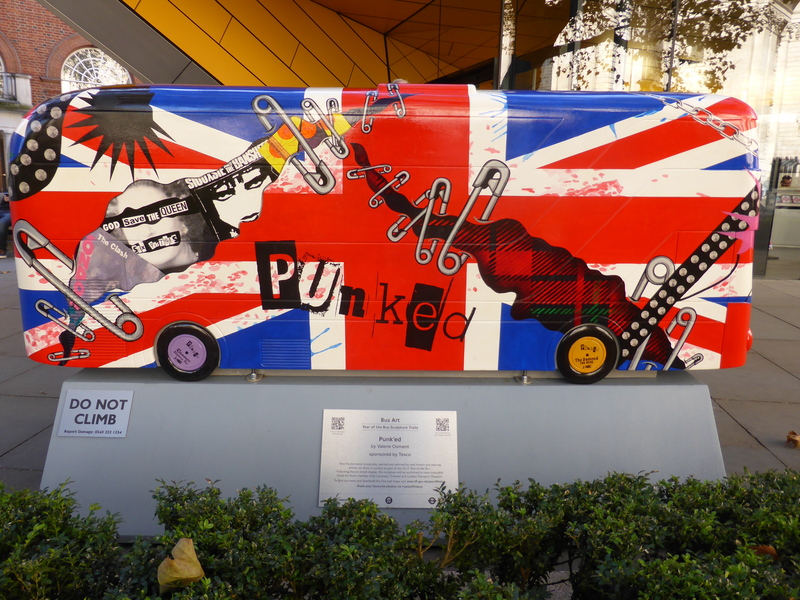 From the River trail, placed opposite St. Pauls Cathedral, ‘Punk’ed’ by Valerie Osment. From the River trail, placed alongside HMS Belfast on the Southbank. 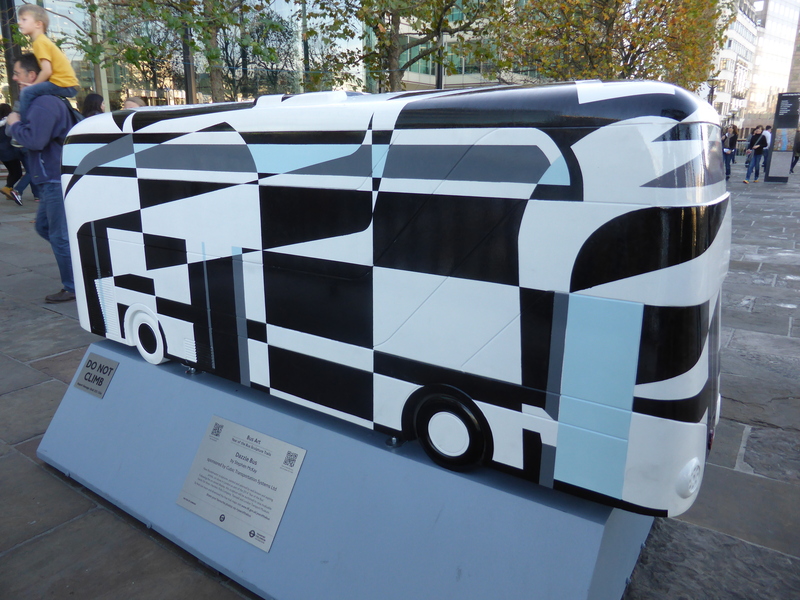 paying homage to the camouflage techniques used by such vessels in the World Wars, ‘Dazzle Bus’ by Stephen Mackay. From the River trail ‘Twenty Four Seven’ by Deven Bhurke. 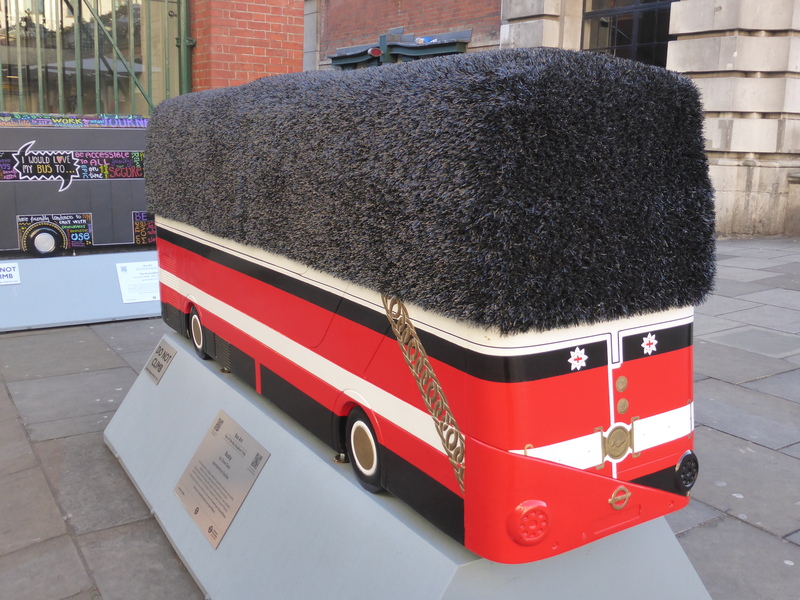 From the Westminster trail, placed in Covent Garden, ‘Busby’ by Oliver Dean. 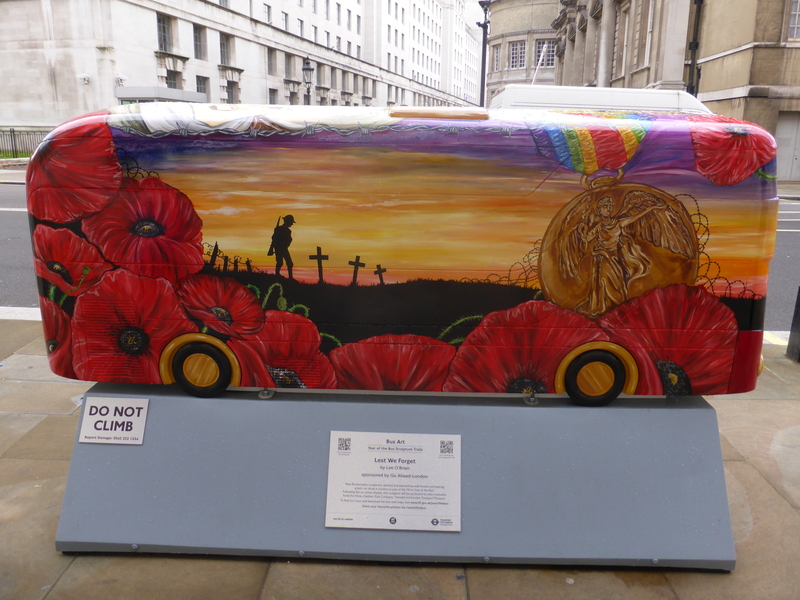 From the Westminster trail, placed n Whitehall between the 2 Ministry Of Defense buildings and just a minutes walk from the Cenotaph, ‘Lest We Forget’ by Lee O’Brien. ‘Lest We Forget’ from the other side. 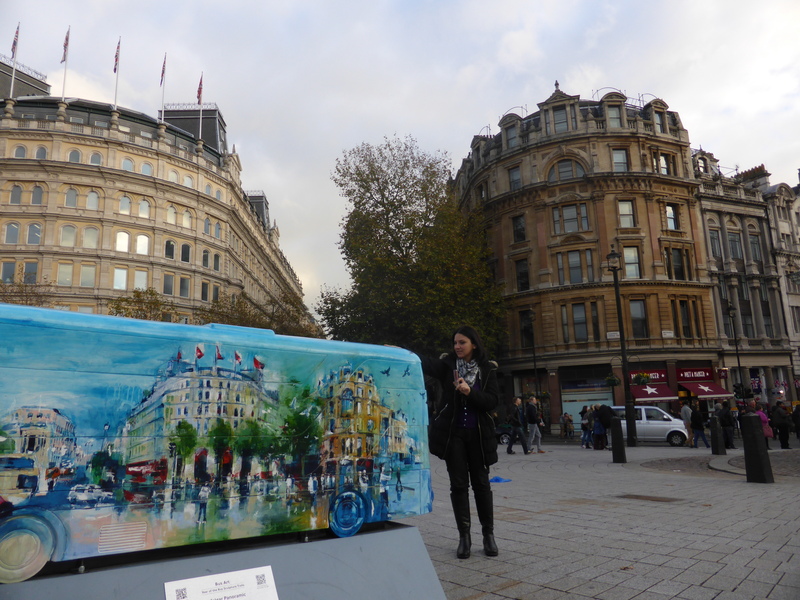 From the Westminster trail, placed in Trafalgar Square, ‘Trafalgar Panoramic’ by Rob Wilson. These are so awesome! They are all very unique and great. I especially love “Busby” and the “Trafalgar Panoramic” buses. Thanks for sharing! Thanks, they were a great set and made great trails.